An all out blizzard will happen Tuesday and Wednesday. 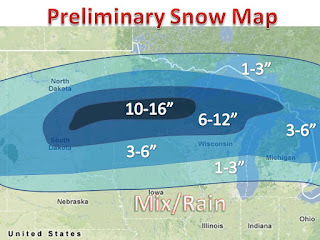 Looks to be the storm of the year for the midwest. 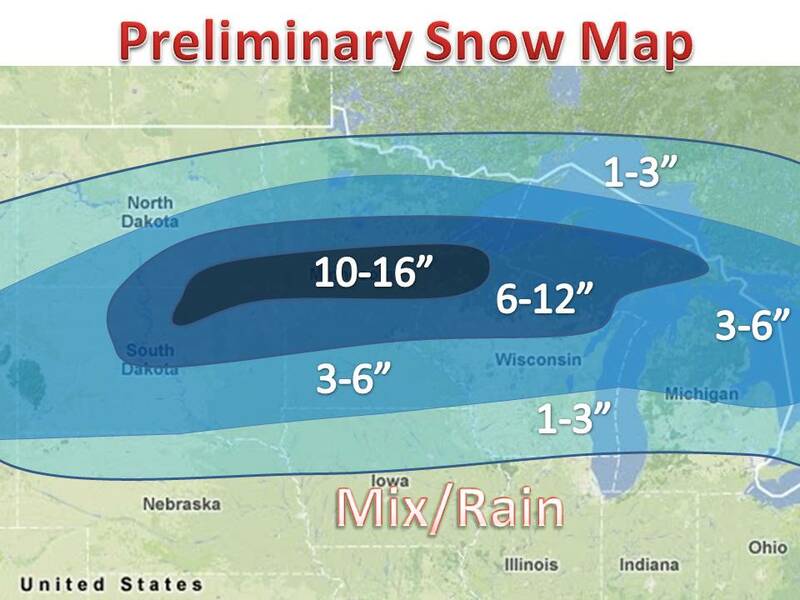 There will be many areas that reach a foot of snow. Amounts will drop off further south due to a mix of rain and snow. Some icing is possible in southern Wisconsin and SE Minnesota. Look for more updates as this event gets closer.